U.S. Senator Brian Schatz and Congresswoman Tulsi Gabbard have been working with Hawaiʻi Island Mayor Billy Kenoi to persuade federal officials to rebuild lava-covered portions of Chain of Craters Road as a two-lane route out of Hawaiʻi Island’s lower Puna District in anticipation of the Kilauea lava flow cutting off access to major roadways this month. 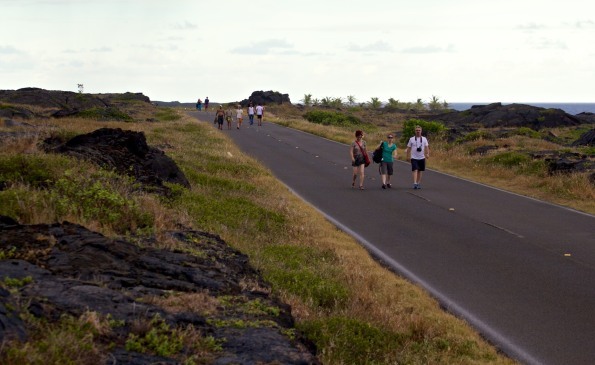 After weeks of collaboration between county, state, and federal officials, Sen. Schatz, Rep. Gabbard, and Mayor Kenoi today announced that the National Parks Service (NPS) intends to reestablish the Chain of Craters Road to its original alignment width of 22 feet with a gravel surface, which will be consistent with the width of the existing park roadway segment, and will accommodate two-way traffic along its entire length. This announcement comes at a critical time, as the tip of the lava flow is less than a mile from Pāhoa town. This morning, Sen. Schatz visited Chain of Craters Road to meet with NPS Superintendent Cindy Orlando and saw first-hand the bulldozer work being done to clear the access road. 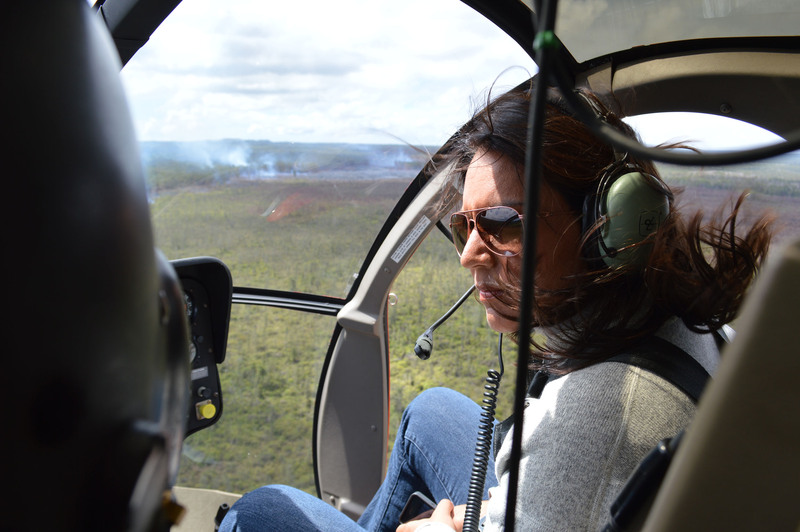 Rep. Gabbard went on a helicopter with Hawaiʻi County officials and got a close look at the Kilauea lava vent, the path toward Pāhoa that the lava has flowed, all access roads in and out of Puna, to include the active bulldoze clearing ongoing on the county’s portion of Chain of Craters Road. Do it right the first time and pave it.